Ray Duffy had Blue-headed Vireos at Schmidt's Woods in Secaucus this a.m. 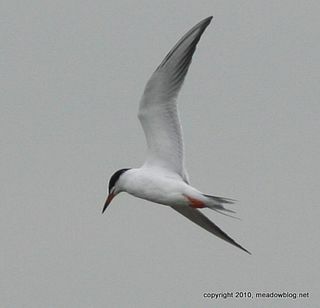 He and a few others saw two Forster's Terns over the tidal impoundments at DeKorte today. Photo of Forster's Tern at right was taken today. We also had Common Merg flying, Savannah Sparrows plus plenty of Gadwalls and No. Shovelers at DeKorte. 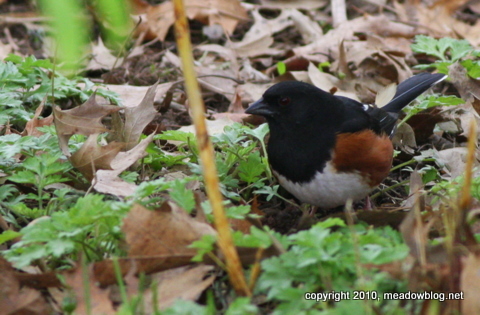 Other recent sightings in the next post. 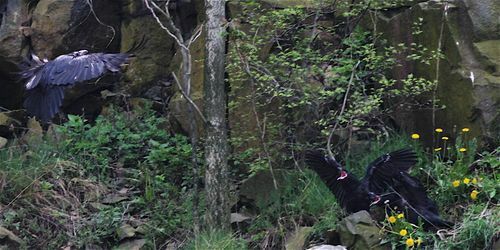 Julie McCall wrote in last week to ask if any previous Common Raven nests at Laurel Hill had been successful, and the answer is yes. The Record had a neat story today about an new Osprey nesting platform put up on the Bergen County Utilities Authority campus near the Hackensack River in Little Ferry. We are seeing more and more of these once-threatened fish hawks along the river, and additional housing opportunities (potential nesting sites) are a big plus. This new platform was a joint effort by the BCUA, Riverkeeper, PSE&G and Verizon. The link to Environmental Writer Scott Fallon's story is here. Just saw our first of the year Mourning Cloak in the DeKorte's Lyndhurst Nature Reserve. This cloak looks like something out of the Salvation Army store, but still nice to see. By the way, according to the North American Butterfly Association Checklist for DeKorte, this butterfly is due to appear around… mid-April. More on Mourning Cloaks here. By the way, have you heard that a new free Butterflies of DeKorte Park pamphlet is in the works? We hope to have it ready later this spring. 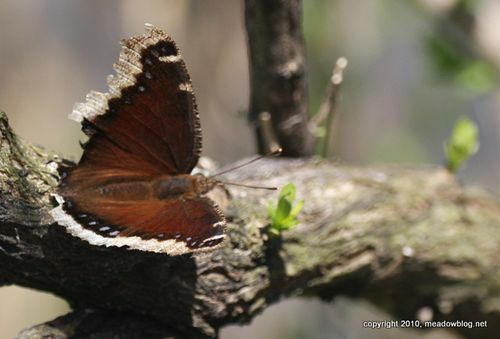 This entry was posted in Butterflies and moths and tagged DeKorte Park, Meadowlands, Mourning Cloak on April 16, 2010 by NJMC.